Meet Riley, Karuna’s adoptable handsome Bengal tiger!!!! 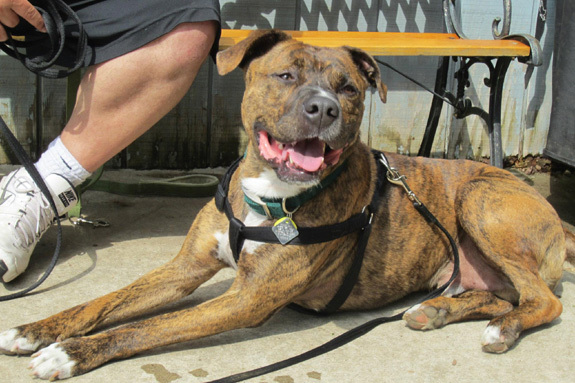 This stunning brindle hunk is breaking hearts with every person he meets! 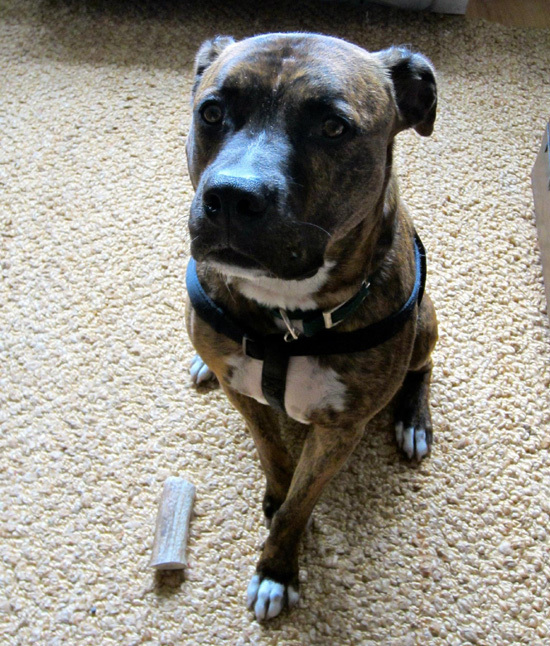 Riley is about 3 years old and a true American Pit Bull Terrier! 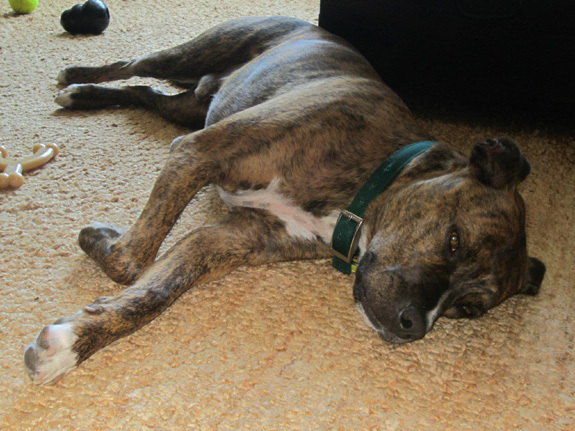 Riley loves other dogs, both big and small and also loves kitties! He is super mellow and is an easy going fella! 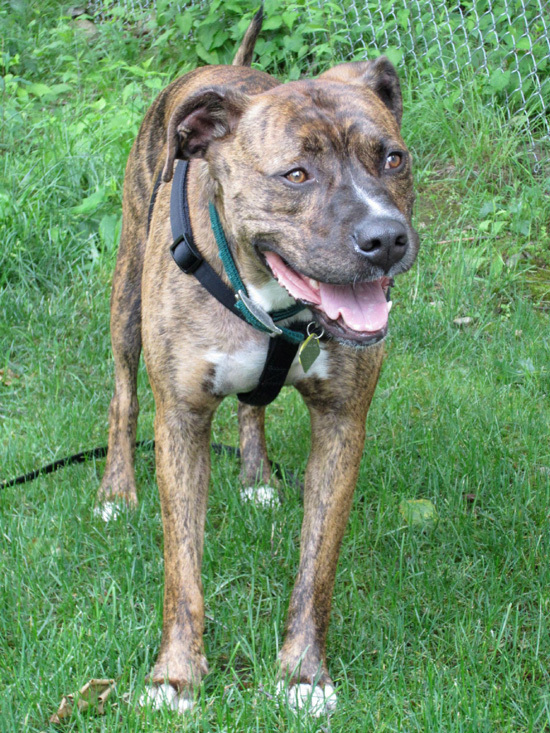 He is being fostered in CT and will receive all the love and support he needs until his forever family finds him! 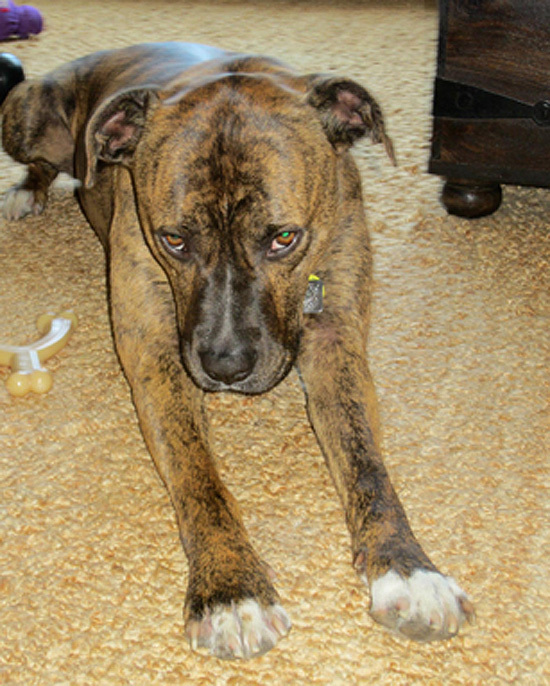 He is neutered, vaccinated, micro-chipped and ready for his forever home. 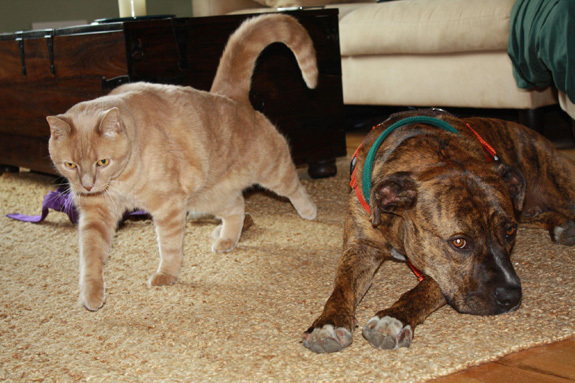 You can also learn more information about Karuna Bully Rescue on their website. Karuna is located in New Haven, Connecticut. Gorgeous on the inside and the outside! He is GORGEOUS! Whoever adopts him is so lucky! Riley looks like the perfect pit. Who wouldn’t want to cuddle with this gorgeous guy?